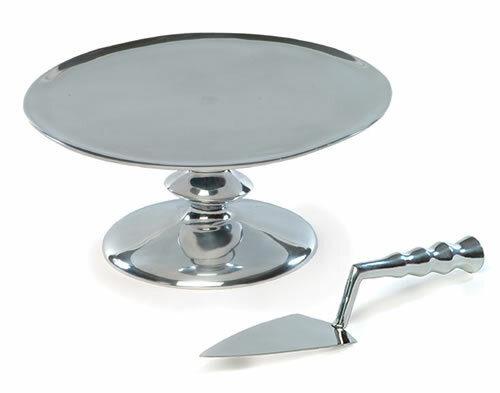 Here's a way to serve birthday cake in style. The uncluttered lines of this cake plate are inspired by the great Romanian sculptor Brancusi, a contemporary of Modigliani and Picasso. 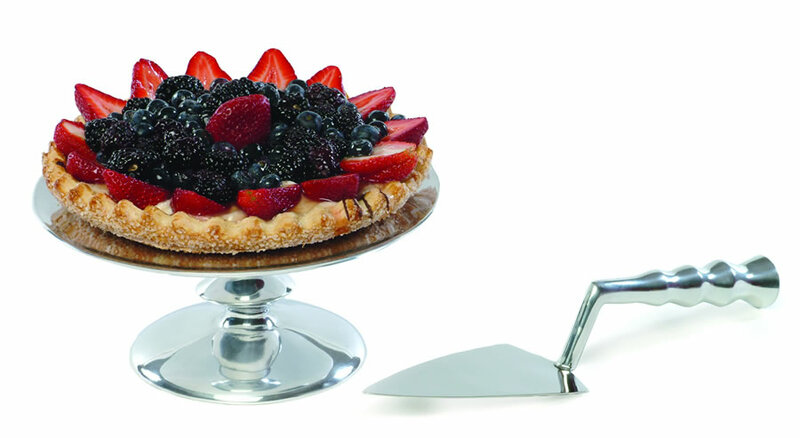 In highly polished aluminum, along with a stylish cake server. Plate is 13-1/2 in diameter by 6 inches high. Server is 11 inches long.